It may have been the “Future of Sound,” but few heard it as the Tourism Authority of Thailand-organized deejay concert, scheduled against other Valentine’s Day activities, drew relatively few music fans. TAT had predicted that approx. 5,000 people would turn out at the Tawanna Night Bazaar near Soi 6 on Beach Road to hear famous deejays and singers mix traditional and modern music at the free Future of Sound concert. But paralyzing traffic, combined with Burapha Bike Week, the WTA Thailand Open, the Ripley’s Dance Marathon, a concert by Siriporn Aumpaipong and other romantic Valentine’s Day events meant few people showed up during the 6 p.m. to midnight show. Khaommao Peerdthanon plays a heartfelt song on the Thai lute. Future of Sound, set up in Pattaya at the request of TAT Gov. 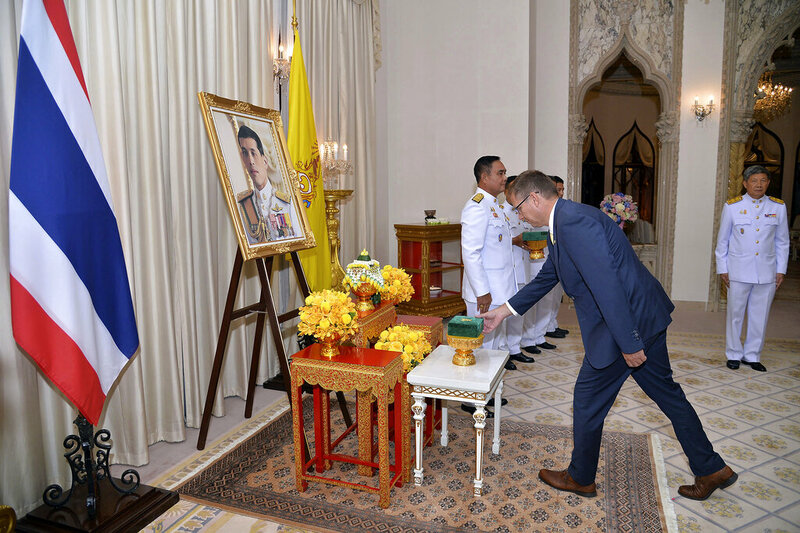 Thawatchai Arunyik, also fell short of the planning of most events, lacking even the usual opening ceremony. Lower-level TAT executives, Pattaya City Council members and other guests were invited on stage before the show to take photos and try to get the thin crowds into the mood. The lineup for the night included Hugo Chulachak Chakrabongse, the first Thai artist signed by rapper Jay-Z’s Roc Nation label, and DJ Maft Sai, who mixes traditional Thai music of the 60s and 70s with modern beats. 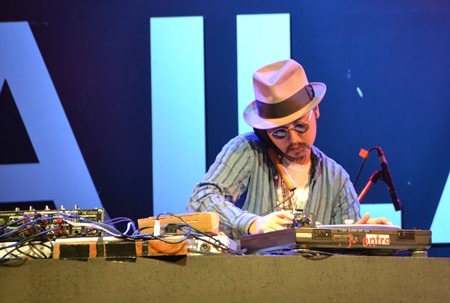 DJ Freestyle Seed mixed some retro music in his popular style. 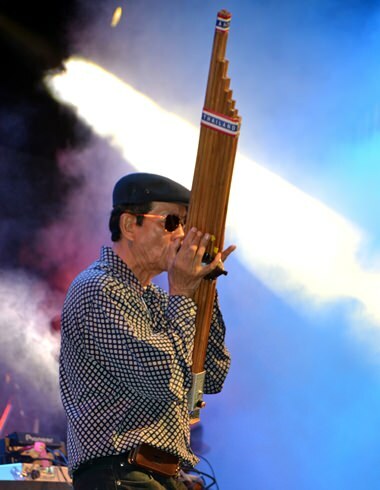 The Paradise Bangkok Molam International Band gave a standout performance with its demonstration of the ‘khaen’ mouth organ from northeastern Thailand mixed with international music. The band is very well known in Europe and it first album goes on sale soon. DJ Maft Sai mixed traditional Isaan music with modern tunes. It was a first performance in Pattaya, but sadly, few people got to see it. 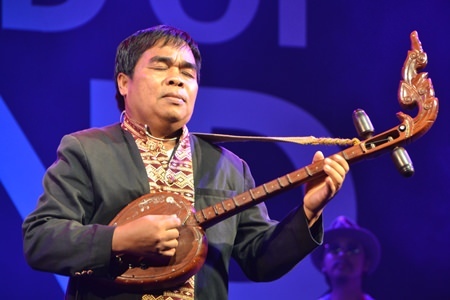 Sawai Kaewsombut entertained the audience with his performance on the khaen.